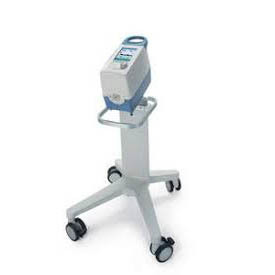 Drager Carina Ventilator is an innovative type of high-performance NIV ventilator. One that is comfortable for both the patient and the caregiver, compact and mobile enough to optimize workflow and workspace usage and convenient, comfortable, and compact enough to recognize changes in flow parameters and patient status, providing just the right amount of support while giving the patient room to breathe. 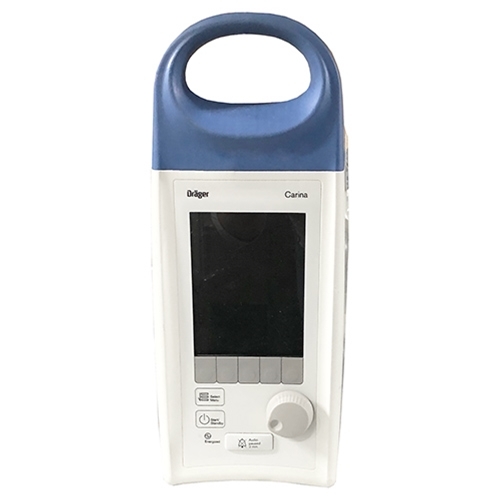 Drager Carina Ventilator features a range of ventilation modes for spontaneous and mandatory ventilation and an integrated blender which can supply oxygen concentrations from 21 - 100%. Should the need arise, Drager Carina Ventilator can even be used for invasive ventilation. Dragers unique SyncPlus functionality provides the kind of consistent flow that translates to superior therapeutic benefit, but without compromising on comfort. 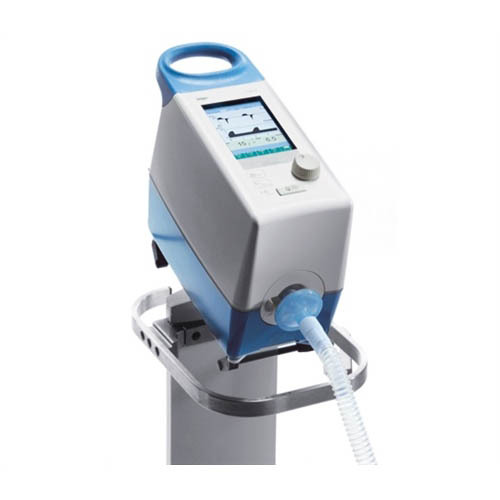 Drager Carina Ventilator’s AutoRamp feature simulates a natural breathing pattern which helps optimize inflation flow delivery to the patient. We know how important a restful, healing environment is to patients and caregivers. That's why the Drager Carina Ventilator features an extremely quiet blower that enables practically silent operation (max. 40 dBA). A 5.4 inch, high-visibility TFT color monitor displays your choice of value or curve information which can be further customized to suit your particular needs. Weighing in at just 5.5 kg, the Drager Carina Ventilators extremely compact design lets you take it nearly anywhere for subacute care. 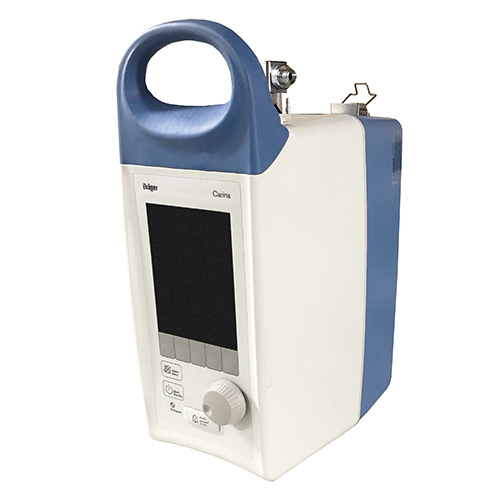 For patient transfers or in case of power failure, the internal battery can provide power for up to an hour of off-line operation, while an optional external battery unit can power the Carina for up to 9 hours. Operating period of internal battery: 60 min.